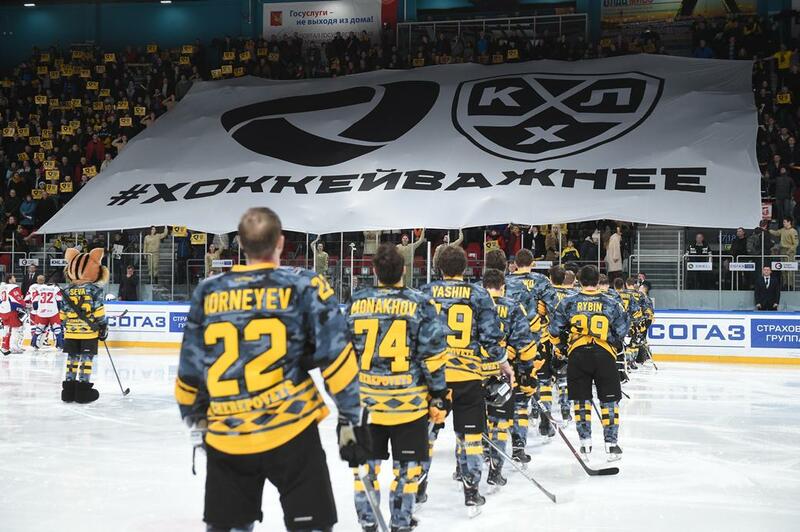 Army Men on the march; Severstal shows its steel. CSKA setting its sights on Gagarin, Lokomotiv's short-handed shortcomings, Severstal showing its mettle, and HC Sochi sailing into the playoffs... KHL.ru presents a mid-winter progress report on the fortunes of the teams in the Tarasov Division. Under the guidance of Igor Nikitin, the traditional consistency is atill present and the team's form has never dipped for long enough to even allow more than two defeats in a row, but it soon became clear that all the CSKA eyes were on only one prize – the Gagarin Cup. Not even the leaders - Kirill Kaprizov, Sergei Shumakov, Maxim Shalunov, Nikita Nesterov – were immune from the rotation policy, but when you have the luxury of a long bench, it makes perfect sense to use it. At the beginning of October, Lokomotiv raised many eyebrows when the club decided to part company with head coach Alexei Kudashov, who masterminded last season's biggest shock – the Conference semi-final triumph by the Railwaymen over favorite CSKA – and replaced him with the victim of that sensation, Army Men boss Dmitry Kvartalnov. On the plus side, the men from Yaroslavl have clinged to a top four place in the Western Conference, but a lack of consistency has raised doubts about the team's chances of matching the exploits of last spring. One day Lokomotiv can inflict a 6-2 hammering on Ak Bars, and on another can suffer a 0-4 loss against problem-plagued Dinamo Riga. Nor did the fans enjoy January, which yielded a miserly three victories in eight matches. Lokomotiv's season is a tale of being full steam ahead in even strength, but stalling otherwise – their stats are the fifth-worst in power play (15.5%) and the worst at penalty-killing (73.4%), and the defense has been the most porous of any of the top-four teams. With two games remaining, chances of closing a four-point gap to overtake third-placed Jokerit seem slim, but whatever happens in the regular season, we have the mouth-watering prospect of a Western semi-final series between the Railwaymen and the champions, SKA, in a repeat of last season's Conference final. Over the summer there were many changes at Nizhny Novgorod. The club held on to the head coach, Latvian specialist Peteris Skudra, who has been at the helm since 2013, but the roster for this tenth Championship was vastly different from that of the previous campaign, and around twenty players headed off for patures new. 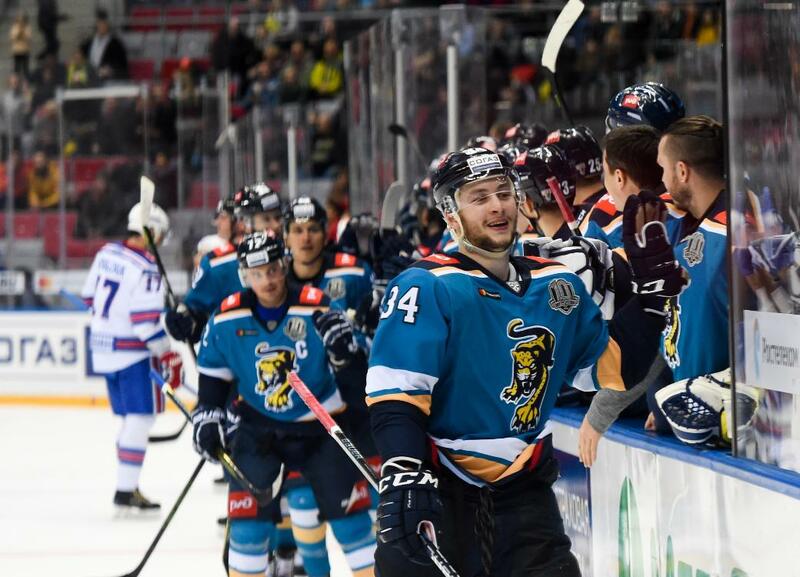 It is to Skudra's great credit, therefore, that Torpedo stayed on course and once again hit the target – a playoff spot, as any expectations of a vast improvement on last season were a little unrealistic in such circumstances. The team went through two dark periods: one in November, in which Torpedo recorded a mere two victories in eleven games, and a run of six straight defeats at New Year. The position in the top eight seemed vulnerable, but fortunately, none of the nearest rivals were able to capitalize. The one problem the coach would like to fix before any others is the lack of goals. With a total of 112 from their 54 games, the Nizhny Novgorod Men's cutting edge is the least sharp of any in the top eight, and indeed, the third lowest in the entire conference. This will need to change if the team wants to live up to its name and inflict some damage in the post-season. 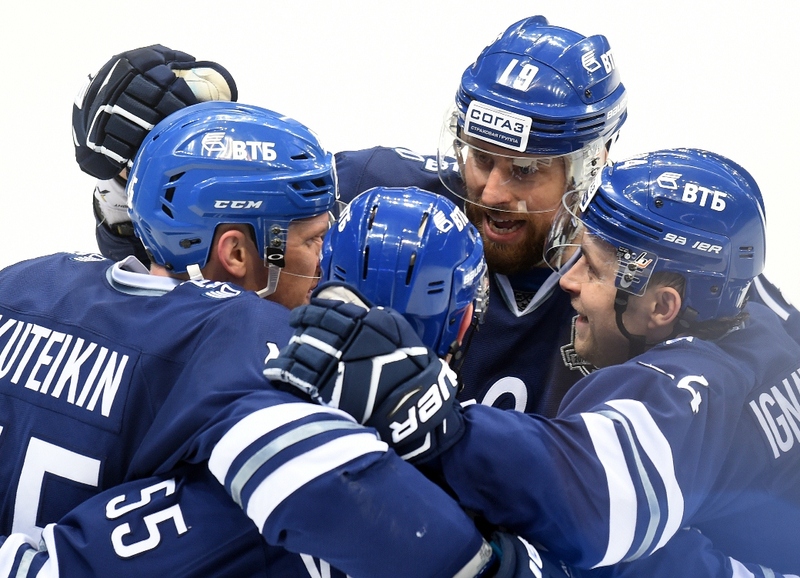 HC Sochi is now in its fourth KHL season, and the signs are that it might well be their best. The team from the Olympic city on the shores of the Black Sea qualified for the playoffs in its first two seasons, but made a first-round exit each time, and last season the southerners finished outside the magic top eight. That triggered big changes in the summer, and in came legendary Russian defenseman Sergei Zubov to steer the ship to hopefully sunnier climes. The new boss had to call on all his old stoicism early on – the campaign began with a painful 3-11 reverse at the hands of Salavat Yulaev, and September ended with a five-game losing streak. Zubov swiftly put an end to such failings, and soon his men proved they could more than hold their own with the likes of Neftekhimik, Metallurg, Jokerit, and Avangard. They even put an end to SKA's record-breaking 20-game winning start to the season, and to show that was no fluke, they repeated the feat in regulation time. We were not far into January when Sochi secured its place in the knockout stage, and maybe this is the year when they at last record a first post-season series win. As we go into the Olympic break, Dynamo Moscow is one of three teams in the Western Conference top eight (along with Torpedo and HC Sochi) which has allowed more goals than it has scored, and with one game remaining on their schedule, the Blue-and-Whites are clinging desperately to that prized eighth place. Their last game is a heart-stopping derby against fierce Moscow rivals Spartak, currently sitting one place above Dynamo and with two games remaining, while just a point behind lurks Severstal, also with two matches left (although the opposition, CSKA and SKA, must give the Muscovites some consolation). Despite many behind-the-scenes problems last summer, Dynamo made a superb start to the season, posting six victories in seven outings, but a dip in form during October followed by a worse slump in December sent the team into freefall, and now there is a real prospect of this historic giant failing to reach the playoffs for the first time in KHL history. The team's experienced leaders - Ilya Nikulin, Dustin Boyd, Mikhail Varnakov, Alexei Tereshchenko and others – have tried admirably, and the youngsters have also battled in every game, but Vladimir Vorobyov's roster underwent wholescale changes during the summer, and a team cannot achieve success on effort alone. A nail-biting end to the regular season awaits. 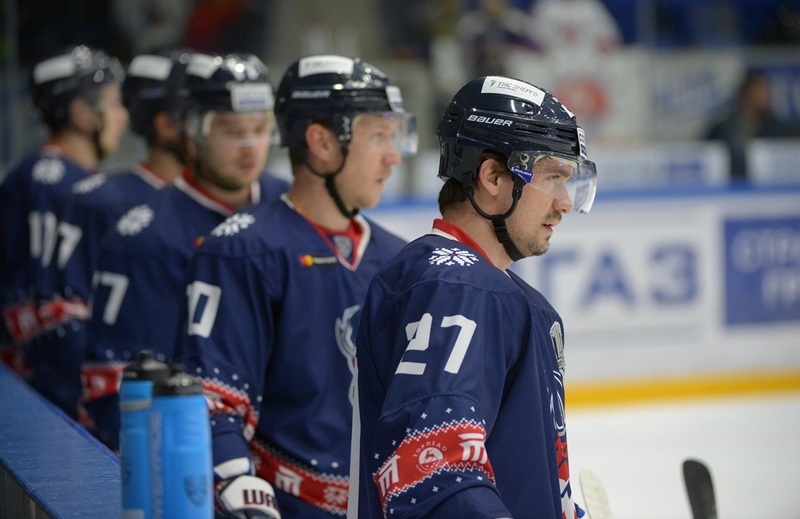 Severstal went into the new season having languished outside the playoff places for four straight years, so not only has this year's battling performance raised the mood in Cherepovets, but also captured the hearts of multitudes of hockey neutrals, grateful that the regular season intrigue has been kept alive to the very end. Alexander Gulyavtsev's men may still fail, but whatever happens, they can all hold their heads high. 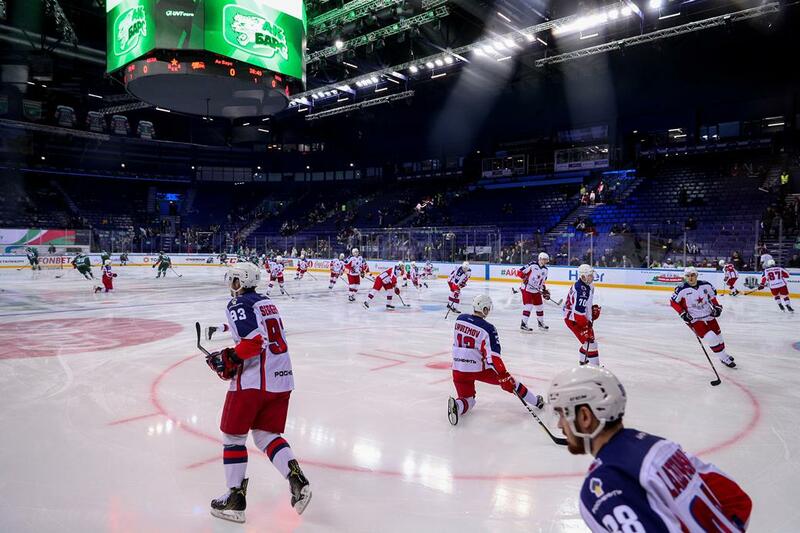 The team has shown remarkable resilience, never going more than two games in a row without tallying points, and has shunned the cautious approach – indeed, they have scored more goals than have Torpedo or HC Sochi. Furthermore, the main weapons in the Severstal arsenal are the home-grown players: Dmitry Kagarlitsky, Daniil Vovchenko, Yury Trubachyov... and they regularly take part in the club's off-ice events for the fans (as do the other players, it is only fair to mention), of which this likeable club stages many. There are just two more obstacles on the path to the playoffs, but they could hardly be tougher - CSKA and SKA. You would have to have a heart of stone to be indifferent to the Steel City men's fate. Vityaz is the only club in the Tarasov Division which was not involved in the fight for a place in the top eight, in stark contrast to last season, when the men from Moscow Region were one of the revelations of the campaign as they clinched their first ever playoff place, followed by a creditable elimination by the eventual champion, SKA. Last year's exploits meant the head coach and the leading players stayed at the club, but there was to be no repeat for Valery Belov's men. The team started the tenth season poorly, failed to find any kind of form or momentum, and a second post-season in the club's history became a mathematical impossibility quite a while ago. There were still occasional reasons to smile, such as a sutout victory over Ak Bars and impressive parformances against HC Sochi and CSKA, and the power play unit's statistical showing matches that of CSKA, but overall, the time for reflection and repairs has already arrived. - The best team in the Division is CSKA, of course, as should be the case for a club with the largest budget and the strongest roster. True, they did not retain the Tikhonov Trophy for winning the regular season, but it's clear that the club are happy to jog through the marathon that is the regular season and conserve all energy for the sprint that is the playoffs. Many people expected Lokomotiv, with their fast-improving youngsters, to rival CSKA this season, but the Yaroslavl guys have not quite lived up to expectations, and maybe the weight of such high expectations were weighing heavily on some young shoulders. 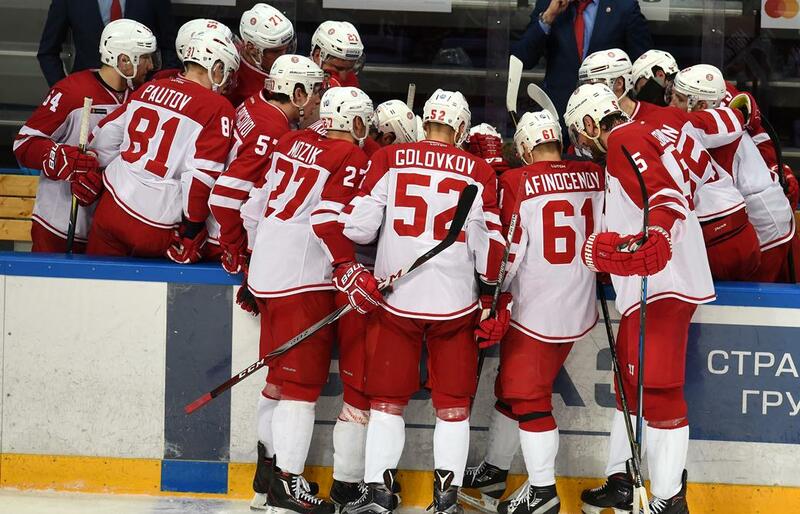 Torpedo has neither surprised nor disappointed, and HC Sochi seems to relish its role as the perennial dark horse, always ready to spring a surprise. Dynamo were plagued by off-ice problems for weeks before the start of the season, and it was impossible to predict what would happen, but given the background of backroom instability, the Muscovite Blue-and-Whites deserve credit for still having a chance of making the playoffs. 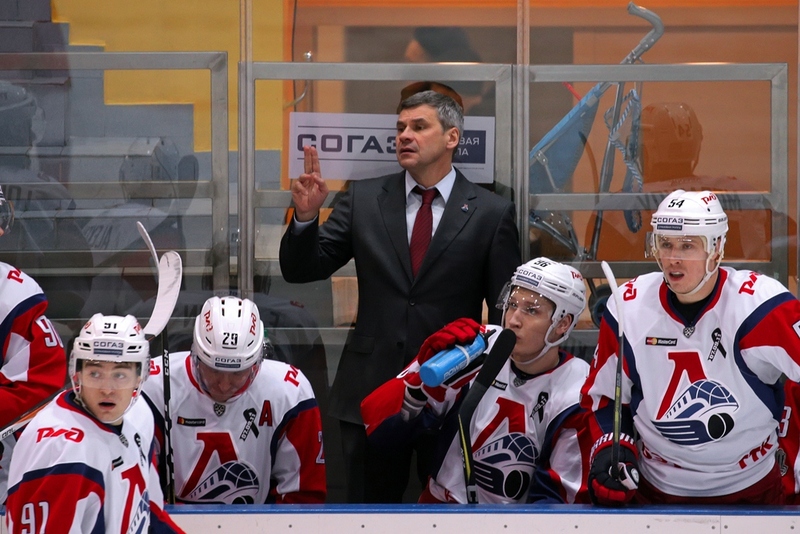 Standing in their way is Severstal, thanks to the sterling work this season by head coach Alexander Gulyavtsev, who has really brought out the best from his players and fully justified the management's faith in him. The Board, in turn, deserve credit for persevering with the boss and we are now seeing the fruits of the Cherepovets Men's labors. On the plus side, everything is in Severstal's hands, but on the minus, the last two games are against SKA and CSKA, which would be a daunting prospect for any team. I think all the fans will share my gratitude toward the teams for keeping the regular season intrigue alive right to the end.